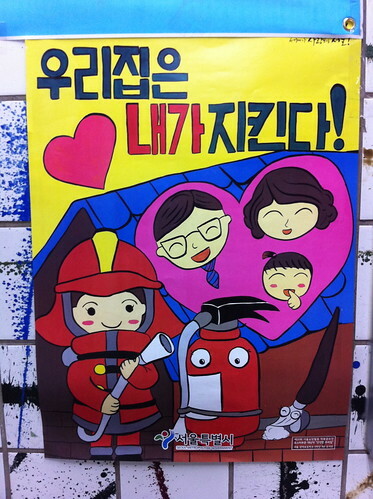 Seen in Chungmuro subway station, possibly the cutest Korean firefighter you'll ever see. One question though, does anyone know what the stick thing with the eyes in the bottom right hand corner is meant to be? Looks a lot like the level a firefighter would pull when they want the water to release. Thanks Chris! This list of suggestions so far... a lever, a "funky broom" and a calligraphy brush.